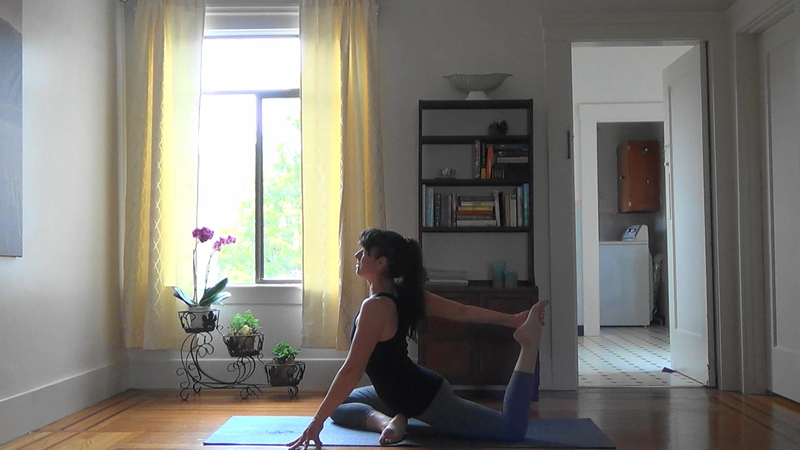 Emphasis: This class invites you to explore the flexibility of your spine with some deeper backbends. 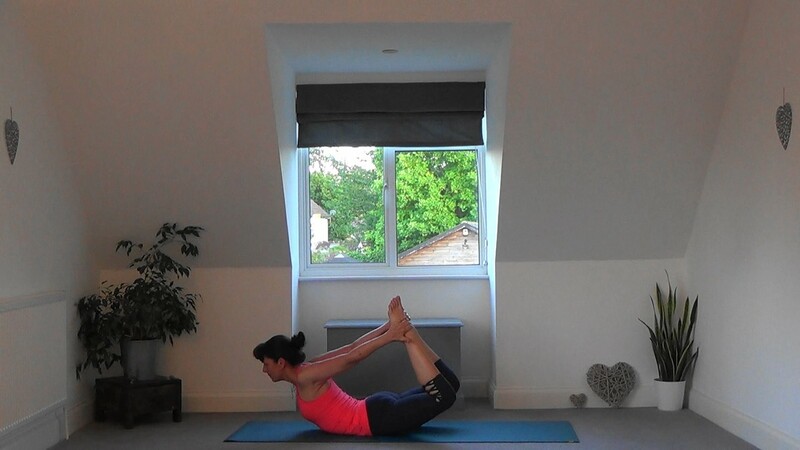 If you have any back problems please practice the Gentle Backbend Flow instead. Props needed: 2 blocks and a blanket for Savasana if required. 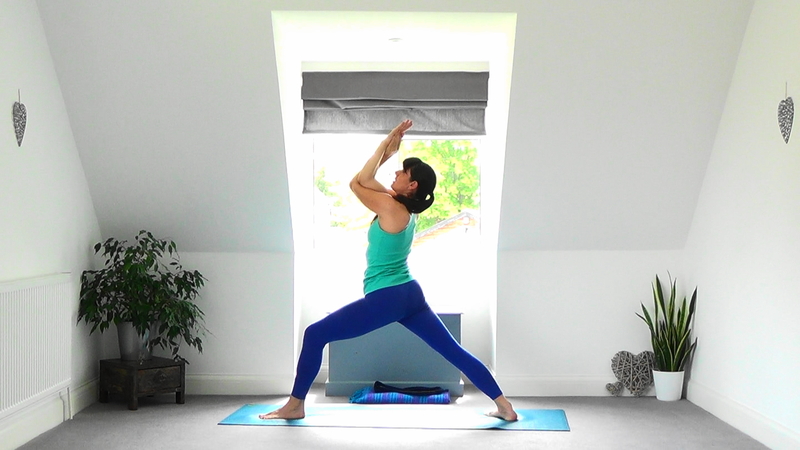 Emphasis: 1 Sun Salutation followed by a sequence of standing and sitting poses that will open the hips and deeply stretch the quads (fronts of thighs). Please note: this class is not suitable for you if you have delicate knees. 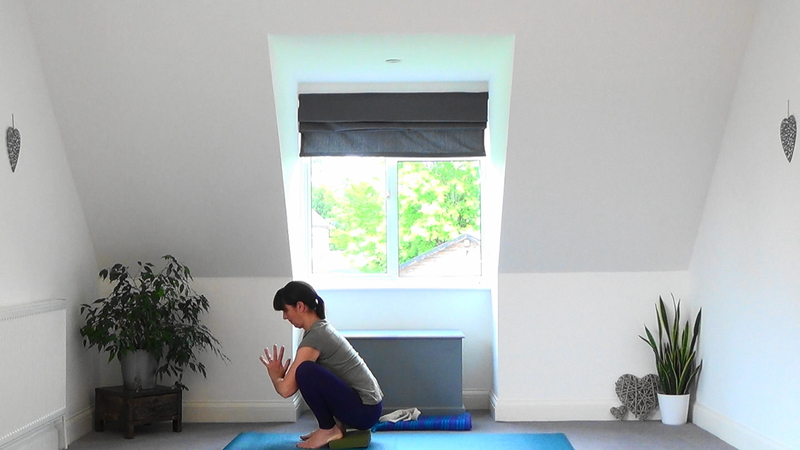 You can adapt the poses using a belt looped around your foot and pad the knee with a blanket but please take care of your knees and make sure you are warmed-up before beginning this class. Props needed: You might need a belt to catch your foot, blocks to put under your hand and a blanket for padding. 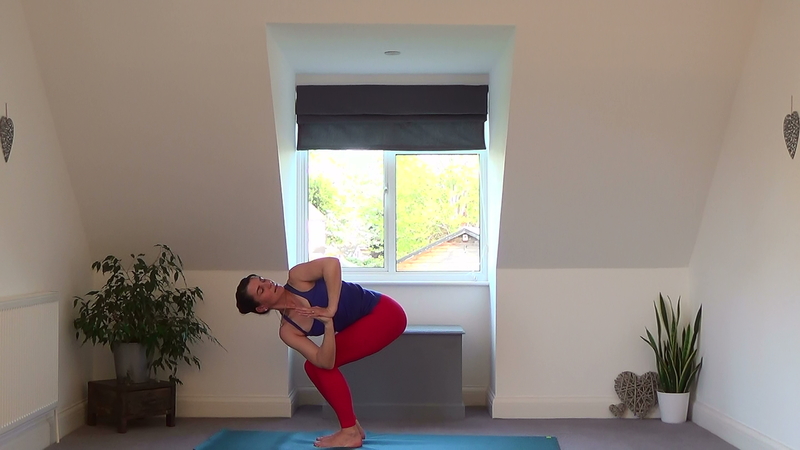 Emphasis: Kneeling and standing lunges (Anjaneyasana and Virabhadrasana 1) Eagle pose (Garudasana) and Stomach Twist (Jathara Parivartanasana) with an added extra stretch. Props needed: You might need a belt for the final stretch and a blanket for Savasana if required. 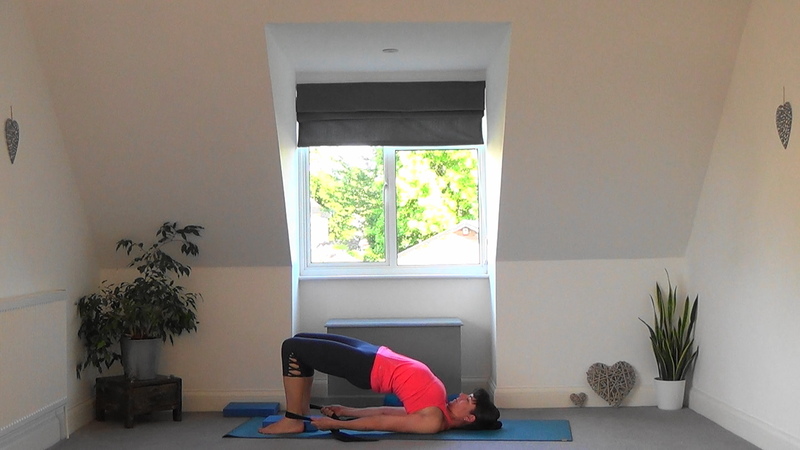 Emphasis: Sun Salutations pausing in Uttanasana (Standing Forward Bend) and Malasana (Garland Pose) for deep hip flexion and stretch for the back of the body. 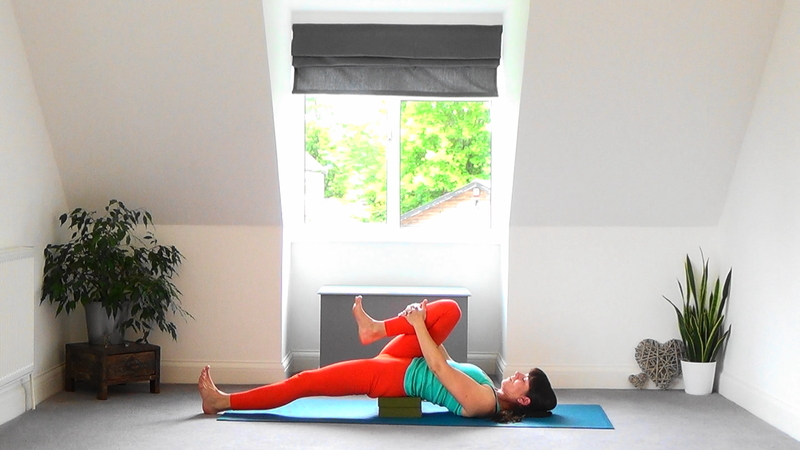 Props needed: Block and belt for Malasana variations and blanket for Savasana if required. 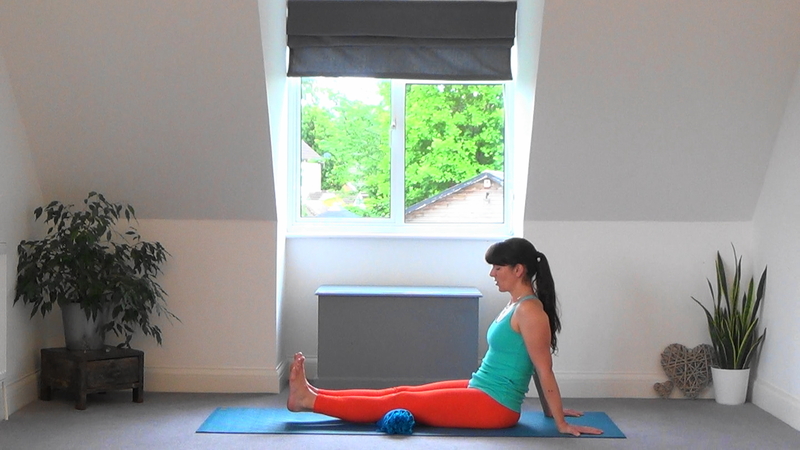 Emphasis: Enjoy a good whole-body stretch in these poses which are done kneeling on the floor. Please note this class might not be suitable if you have delicate knees. Props needed: Blanket for padding under the knees and for Savasana if required. 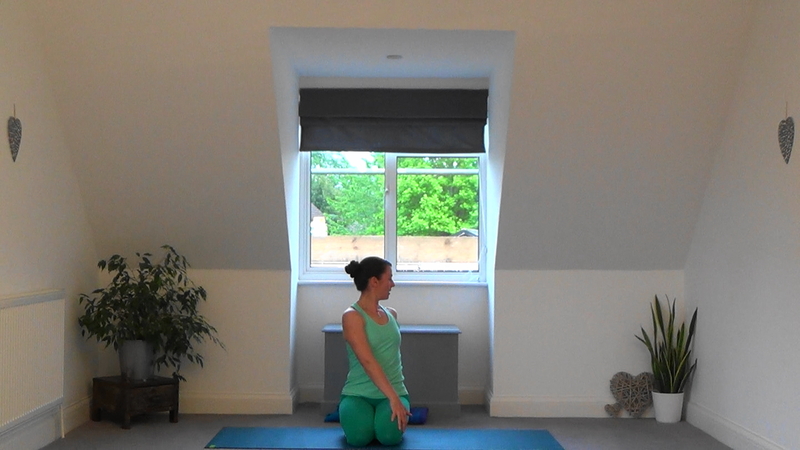 Emphasis: Sun Salutation B with variations of Chair Pose (Utkatasana). Props needed: Blanket for Savasana if required. Emphasis: Get a good stretch for arms, legs and spine. Props needed: Blanket or block to sit on and possibly a block for under your hands. 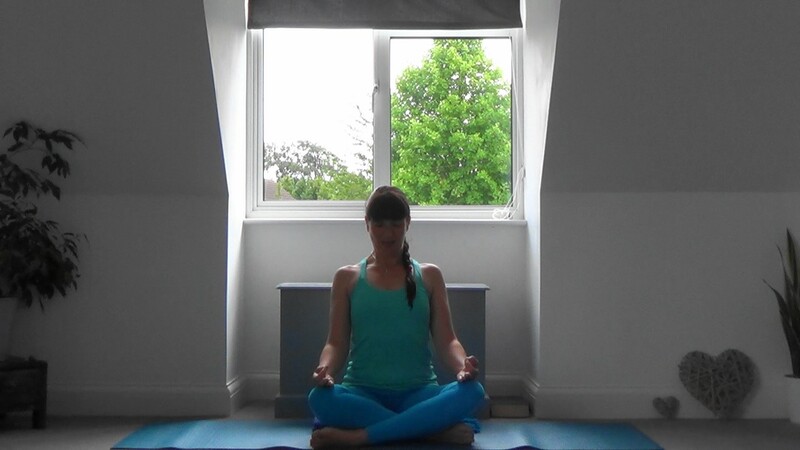 Emphasis: This meditative breathing practice focuses on lengthening the exhalation which relaxes the nervous system. 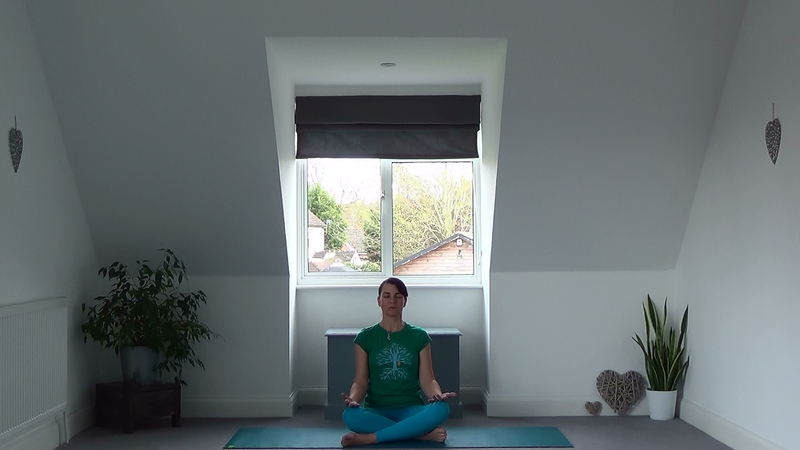 If you are feeling stressed, overwhelmed or anxious this simple practice will help you feel calm and more centred. Props needed: Blanket or block to sit on, but you can do this seated in a chair too.